In healthcare, effective staff management presents a formidable challenge, one that will continue to take center stage as margins decrease and healthcare executives grapple with how to reduce costs while still maintaining high levels of patient and staff satisfaction. Labor accounts for ~60% of a hospital’s spend. But the path to improving productivity doesn’t necessarily mean cutting headcount or wages resulting in dissatisfied staff. In fact, most research shows it can’t. Global consultancy Mercer reports that 2.3 million new healthcare workers will be needed by 2025 to care for the growing and aging U.S. population. Many health systems today have to focus as much on staff satisfaction as labor cost to ensure they can continue to deliver high quality care. For many hospitals and health systems, advanced analytics will be the next frontier to help with smart staffing to meet the needs of the systems, patients and employees. Forward-thinking healthcare leaders must overhaul their approach to staffing models. Those behind the scenes know that the way in which hospitals manage their staff is antiquated, inefficient and is ripe for change. Future staffing plans are often based on budget and don’t account for variability of demand. Staffing decisions and processes often differ across different groups, often with no rationale to justify these differences. In fact, many staffing plans involve ‘cut and paste’ of the previous month’s model. Overstaffing and “staff hoarding” is commonplace as managers fear they won’t have enough staff if patient demand unexpectedly increases. Senior executives are often removed from the details of how staffing processes are defined and managed. Do I have the correct staffing to stay within my budget metrics? How do I manage to my budgets while ensuring the staff feels valued and enjoys working at my institution? Will my available staffing be sufficient to provide quality clinical outcomes? Will my current staffing levels enable us to achieve high patient satisfaction scores? Are there opportunities to share underutilized staff from other units across the hospital? How do I get the confidence to close an underutilized unit and share resources where they are needed? Near-term adjustments: Predictive analytics systems synthesize data from the hospital’s IT infrastructure to forecast shifts in demand days or hours in advance, helping hospitals anticipate, for example, a spike in ED visits or a drop in ICU patients and how it will ripple across the hospital and impact staffing needs. This enables leadership to address staffing shortfalls or over coverage before they arise ensuring that patients are receiving the right care from the most appropriate caregiver, which can directly impact both patient satisfaction scores and clinical outcomes. Long-term planning: These solutions analyze past patterns, integrated with knowledge of the hospital’s staffing policies, to arrive at the most optimal staff schedule for each unit of the hospital. Overtime, this will improve the accuracy and reliability of the schedules that are created in 4-6 weeks in advance, leading to fewer near-term schedule changes and higher staff satisfaction. What if the hospital across town shuts down? What impact will a new surgical center have on staffing? Do we have the right kind of shift schedule? Should we adjust the length and timing of our shifts? The predictive and prescriptive capabilities offered by advanced analytics systems enable hospital leadership to reduce the time required to investigate and address the daily “fires” that consume much of their time. Better informed decisions can be made faster and with a higher level of accuracy than ever before, enabling their front-line managers to make the day-to-day decisions with the same amount of speed and precision. This not only improves patient care and creates a better work environment, but it also enables hospital leadership to focus their time solving the strategic issues that face their hospital such as growth plans and staff acquisition/retention. When it comes to labor, “do more with less” is not an effective model. Everyone loses. 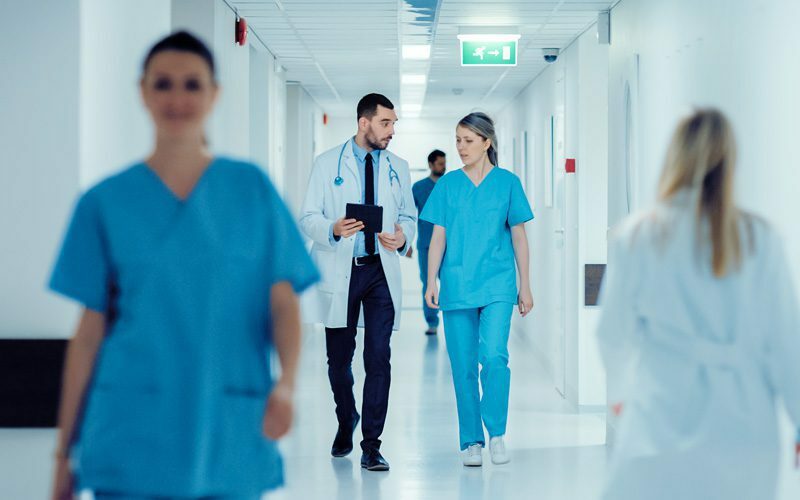 The goal should be to optimize the available resources to ensure hospitals can align staffing to true demand, not just what they think is going to occur. To read more on my thoughts on hospital staff management, check out my latest Forbes piece. And to learn more about aligning capacity to demand with predictive analytics, register for our upcoming webinar.